Marvel at spectacular panoramic views of the sapphire blue Pacific, neighboring Islands & the slopes of Haleakala, in this state-of-the-art 3 bedroom, 3.5 bath home. Set in prestigious Wailea Golf Estates, this stunning Ã¢Â€Âœsmart homeÃ¢Â€Â has been completely renovated from the roof to the flooring. The ground level boasts an expansive living room with vaulted ceilings, a formal dining room, an open family room & a powder room. The masterfully designed kitchen features cherry wood cabinetry, granite counter tops, Thermador & Sub-Zero appliances. Two custom-designed guest rooms offer en-suite bathrooms & access to the outdoors. Upstairs find the office/den & master suite, with soaring ceiling, accent cove lighting, custom cherry wood closets & private lanai with a wet bar. Special attention to electronics make this home magical. Wirelessly control the security system, the lighting, window coverings, fans, temperature & the entire entertainment center. Imagine enjoying the in-ground saltwater spa & pool, barbecue area & fire-pit, surrounded by meticulous landscaping, tropical fruit trees & exotic flowers. This 3808 sq. ft. home, which sits above the Wailea Blue Golf Course, is the height of sophistication. 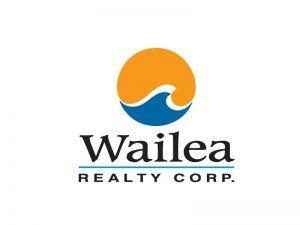 I am interested in 192 Halau Pl, Kihei, HI 96753 (Listing ID # 378653).